In early October, HSLS hosted Sriyani Perera, a medical librarian at the University of Peredeniya in Sri Lanka. The University of Peredeniya is one of the leading universities in Sri Lanka. 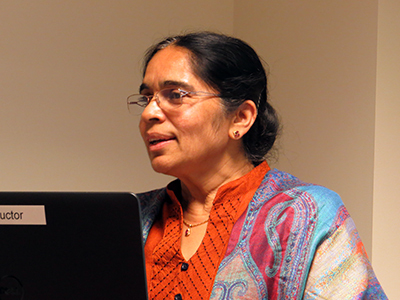 During her tenure as a Medical Librarian, Sriyani has had different roles in the library; as a manager, an academic, a researcher, and a professional, while holding responsibilities in various capacities including planning and establishing new faculty libraries for allied health sciences, dental sciences, and veterinary medicine and animal husbandry. Sriyani is visiting the U.S. on sabbatical. 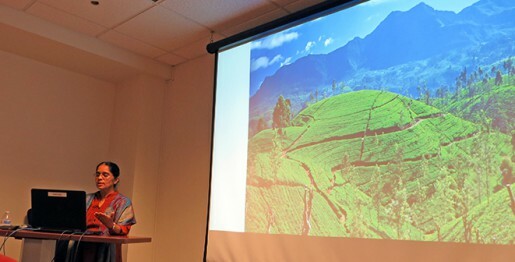 A highlight of her visit was her presentation to HSLS staff about Sri Lanka, the University of Peredeniya, and the University’s libraries. In addition to her time at HSLS, Sriyani visited Carnegie Mellon University libraries and attended lectures as part of Science 2015.